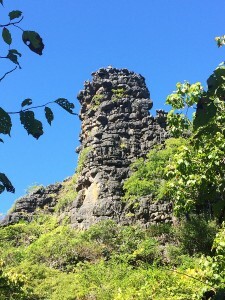 The name means “mountainous island” (hara comes from the Malagasy harana = mountains), which goes back to the characteristic needle stone rock formations. The island belongs to a small archipelago of twelve uninhabited islands surrounded by coral reefs. 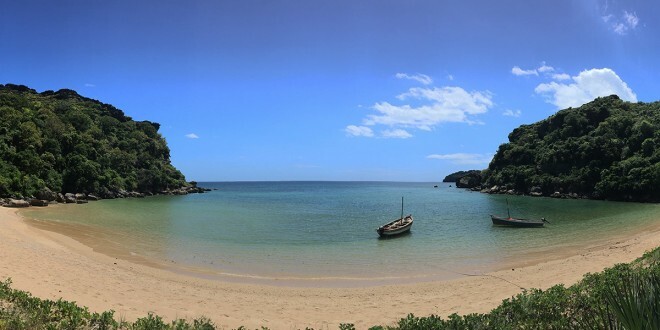 The island of Nosy Hara is located in northern Madagascar in the Baie de Courrier, which belongs to the Diana region. 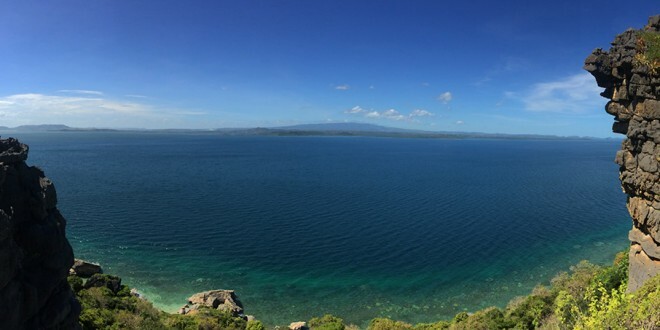 The largest coastal town in the north, Antsiranana (Diego Suarez) is about 30 km to the east of Nosy Hara. 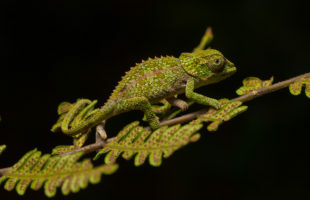 From the capital Antananarivo it is a good 1000 km drive to the north of Madagascar, which is why domestic flights from Tana to Diego Suarez are the easier option. 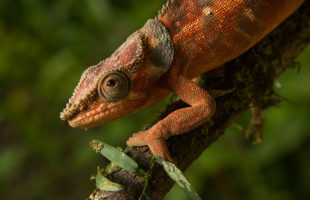 Diego is also home to the Madagascar National Parks (MNP) office, where a planned visit to Nosy Hara is announced. 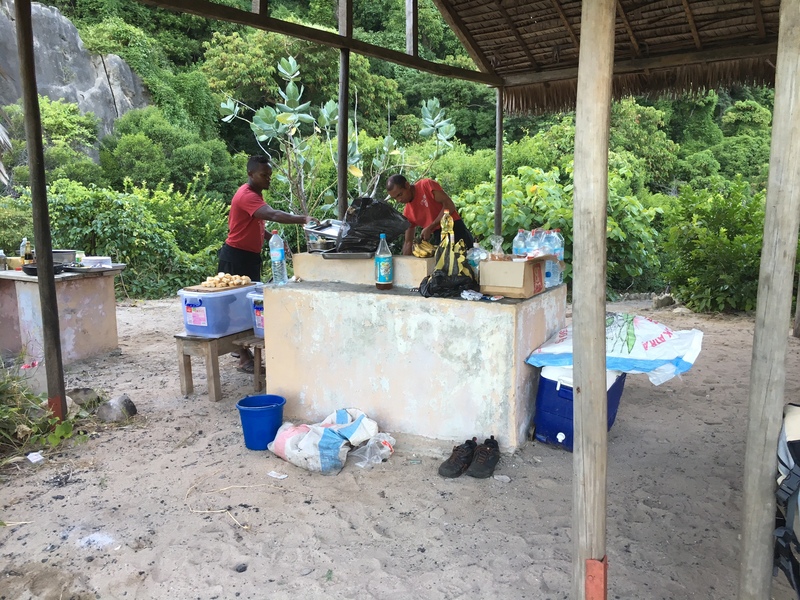 From Antsiranana it takes about one and a half hours by rented off-road vehicle to a small hut village, from where motorboats cross over to the island. Important: There are no regular boats to Nosy Hara, so any desired trip must be announced and planned well in advance (several weeks in advance) – either via MNP or privately. The trip by motorboat takes another hour and a half. The protection of Nosy Hara goes back many decades: The local Madagascans, especially Sakalava, have always regarded their island as fady, i.e. sacred or taboo. It was therefore neither cleared nor entered particularly often, which offered unimagined possibilities to nature. 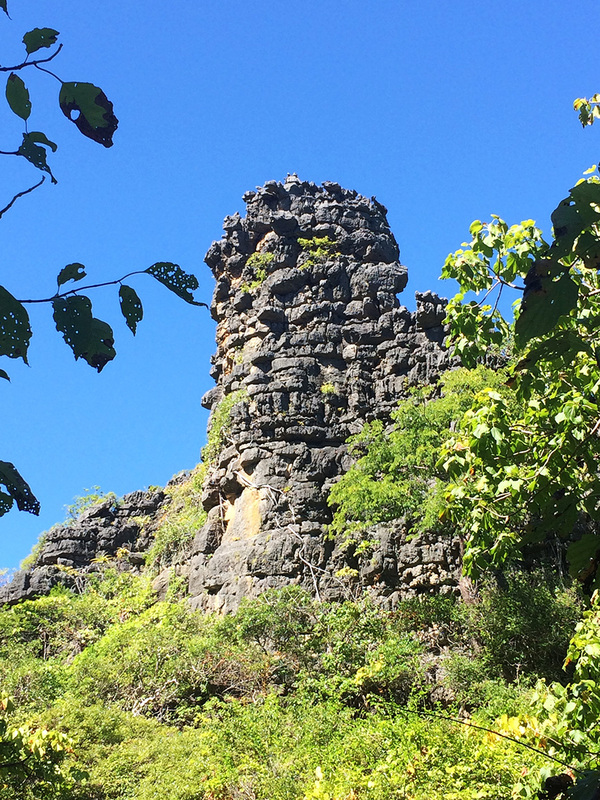 The approximately 3.2 km² large island consists of a karst plateau, which carries the typical Tsingys (needle stone rocks) and a small dry forest. A circular path leads over a part of the island, a somewhat steeper and shorter path to a very beautiful viewpoint. The paths are easily accessible, but only paved at a few hundred metres. Most of the island is still completely undeveloped. Only in 2012 the island was officially declared a national park and the sea around was declared a marine reserve. The WWF is the main source of funding for the protection of the sea. The northwest of Madagascar is above all hot and, despite its proximity to the sea, rather dry. Due to the coastal location, Nosy Hara cannot be reached at times during the rainy season, as cyclones and the rough sea prevent the crossing. During the dry season you should be prepared for temperatures of 30°C and more. Even at night it gets a little cooler – sunscreen, lots of water and airy clothing are a must. Unfortunately, Nosy Hara has a very bad infrastructure. On the west side of the island lies a beautiful, paradisiacal bay with a sandy beach, close to which the island’s campground is located. There are shelters for tents, rudimentary kitchen and sanitary facilities, but no running water and no electricity. All drinking or service water (shower, preparation of meals) must therefore be taken by boat from the mainland. Even those who are very economical should plan 15 litres of drinking water per person per day. Seawater can only be used for flushing toilets and must be taken from the beach in buckets. Drinking water and all food should already be purchased in Diego Suarez and brought by off-road vehicle. 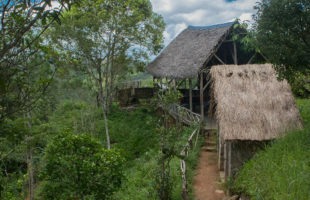 On Nosy Hara itself and in the hut villages on the mainland there are no shopping facilities. 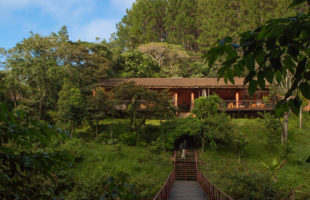 In Diego, some 30 km away, there are plenty of hotels and accommodation for every budget. If you want to enjoy Nosy Hara, you won’t be satisfied with a day’s visit: On Madagascar off-road vehicles only drive during the day, the boats do not operate in rough seas and according to the Malagasy mantras “Mora mora” everything takes a lot of time. For the journey to and from the island alone, therefore, more hours pass during a day visit than one ultimately spends on the island itself. As the boat transfer for individuals is relatively expensive, we generally recommend group trips to visit the island, where experienced guides plan the visit and camping in advance. On some of the islands belonging to the same archipelago there are luxury hotels, but no day trips to Nosy Hara are currently offered. Who dares to go to Nosy Hara can expect one of the last true paradises of Madagascar. 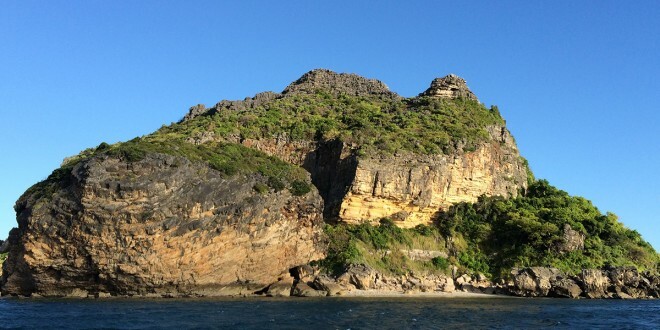 The island captivates not only with a dreamlike bay with a sandy beach at the turquoise-blue sea, but also with unique rock formations, the Tsingys. From the highest point of the island there is a fantastic view over the sea and the steep cliffs surrounding the island. For centuries undisturbed by people, Nosy Hara offers a completely unique, untouched nature. Even baobabs stand on this unique island. 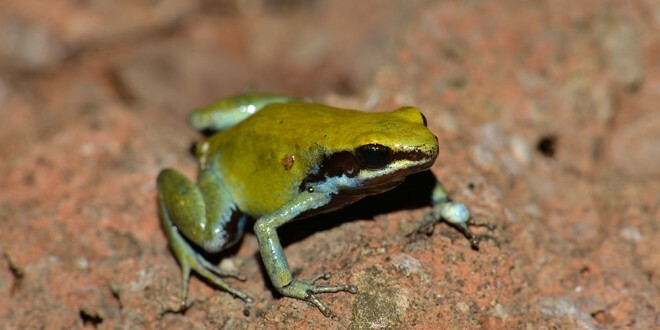 More than 30 bird species, almost 20 reptile species and even some amphibians (including the frog Mantella viridis) populate Nosy Hara. 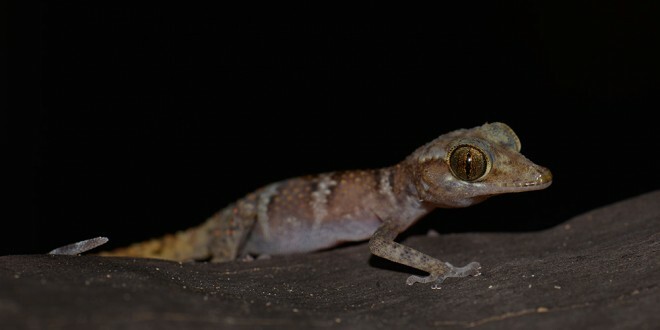 The small island is famous worldwide for the presence of the world’s smallest reptile, Brookesia micra. 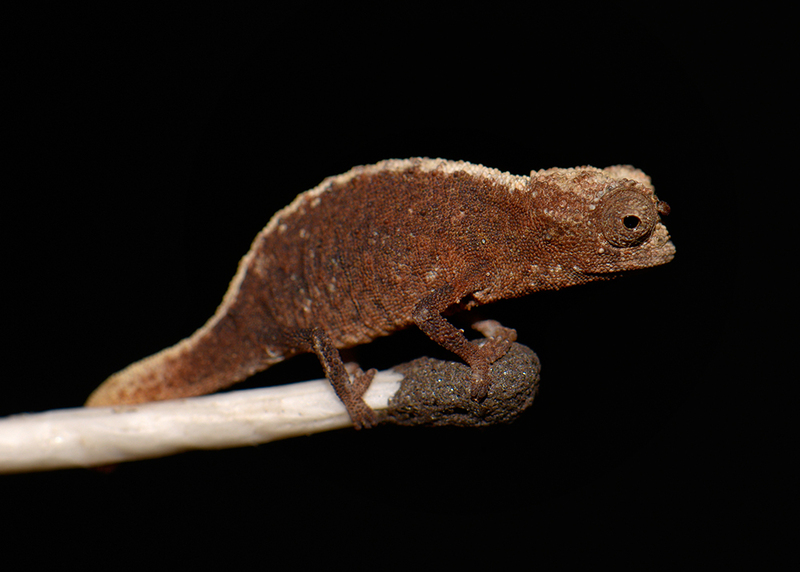 The tiny leaf chameleon only occurs here and fits comfortably on the top of a match. 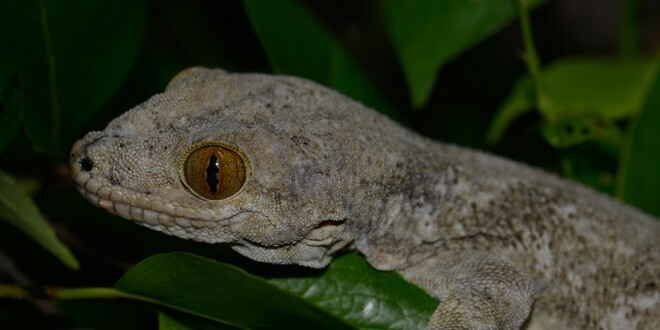 But also other fascinating animals can be found here: The gecko Paroedura fasciata, just described in 2018, panther chameleons (Furcifer pardalis), Blaesodactylus boivini and fish scale geckos (Geckolepis ssp. )climb trees and rocks, Madagascar sea eagles (Haliaeetus vociferoides) search for prey from the blue sky. 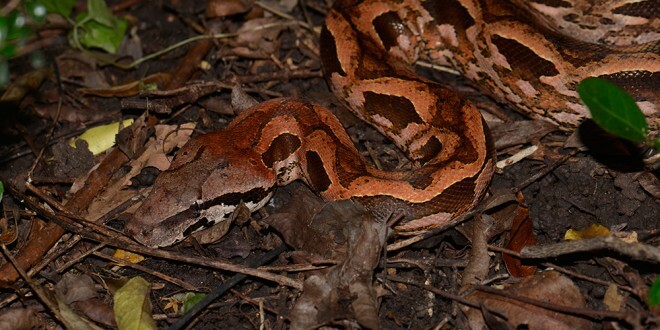 The northern Madagascar boa (Acrantophis madagascariensis) sometimes even reaches the campground. In 2015, fat-tailed lemurs were discovered in the dry forest of the island, which nobody could assign to an already existing species. 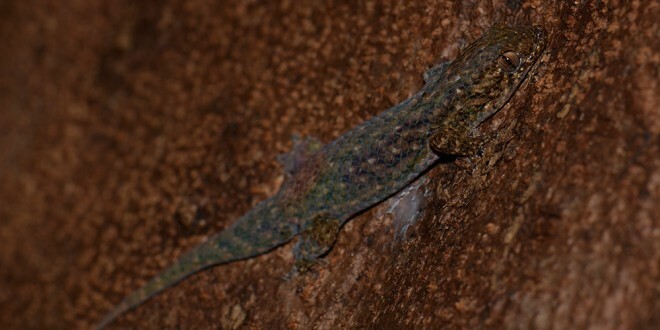 Presumably these inhabitants of Nosy Hara are also undescribed animals – and there are many more of them! The coral reef surrounding the island, still largely intact, is home to almost 80 different species of fish, more than 50 species of molluscs such as mussels, squids and many other marine life. 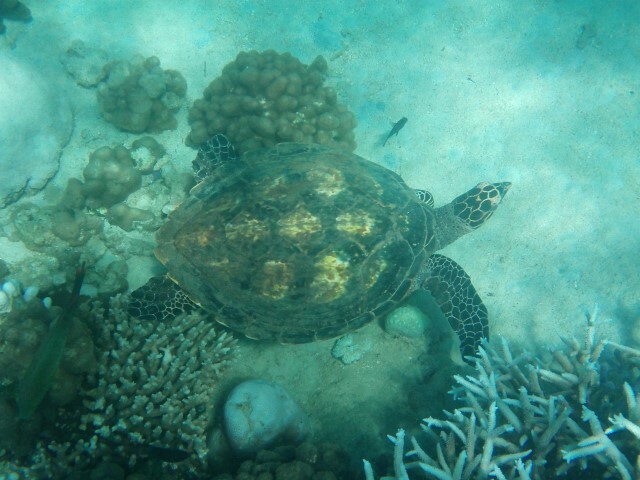 Five species of sea turtles can be seen here regularly, and from time to time dolphins can be seen here, too. Diving and snorkelling is not yet possible on Nosy Hara itself, but with a bit of luck from the surrounding islands (it is best to look for a diving school in advance). 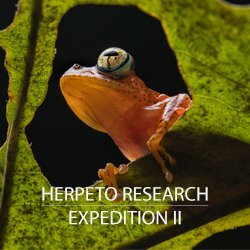 Nosy Hara may not be the best infrastructured national park. 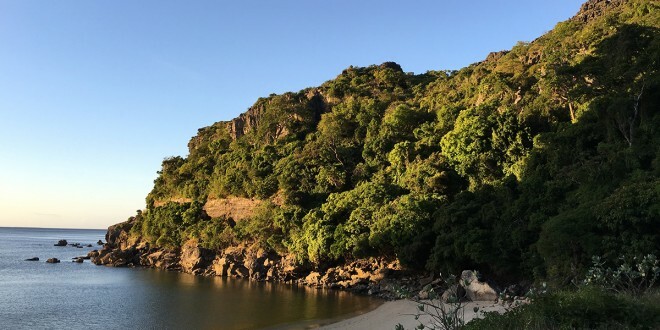 But those who get involved in the adventure of Nosy Hara’s nature will get to know Madagascar from one of its most beautiful sides.